The Royal Horticultural Society (RHS) has announced the design of a garden dedicated to the practice of therapeutic horticulture at RHS Garden Bridgewater. The Wellbeing Garden, designed in-house by Horticultural Projects Manager Ben Brace CMLI, is the latest to be revealed as progress on the creation of the RHS’s fifth garden continues apace. 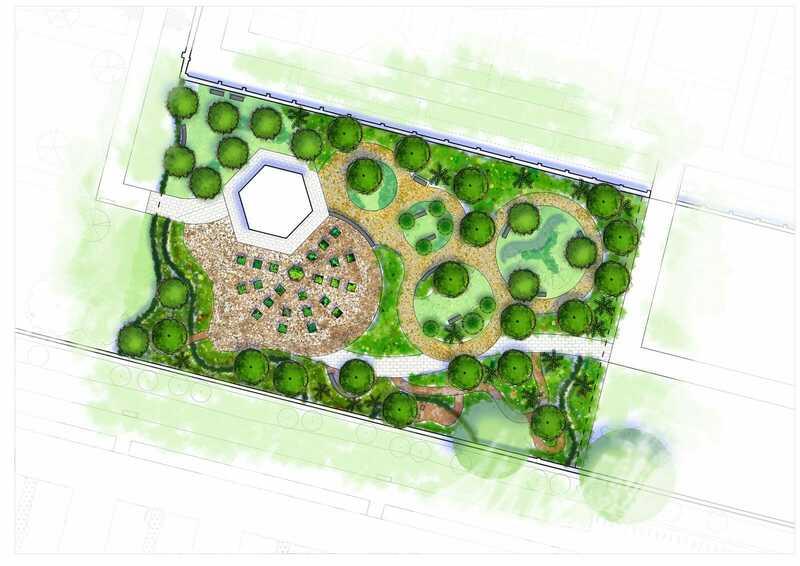 The Wellbeing Garden was originally conceived by renowned landscape architect Tom Stuart-Smith in his masterplan for Bridgewater. It will sit within the historic 11-acre Walled Garden, which is being brought back to life with the support of The Garfield Weston Foundation. The new design is the result of over six months’ consultation with more than 20 organisations, including health and social care providers and charities working with people who have mental and physical health conditions. The garden is also set to be the focus of an innovative social prescribing programme. The RHS, with Swinton Enhanced Care Team and University of Salford, have received Innovation Funding from Salford Primary Care Together to give around 75 individuals the chance to improve their health by gardening at Bridgewater, including helping to create the Wellbeing Garden. Through the project, which will run from April 2019, staff and partners will be trained in horticultural therapy and University of Salford will evaluate the difference it makes to people’s wellbeing. A Therapeutic Gardener is currently being appointed to take this and other projects forward.